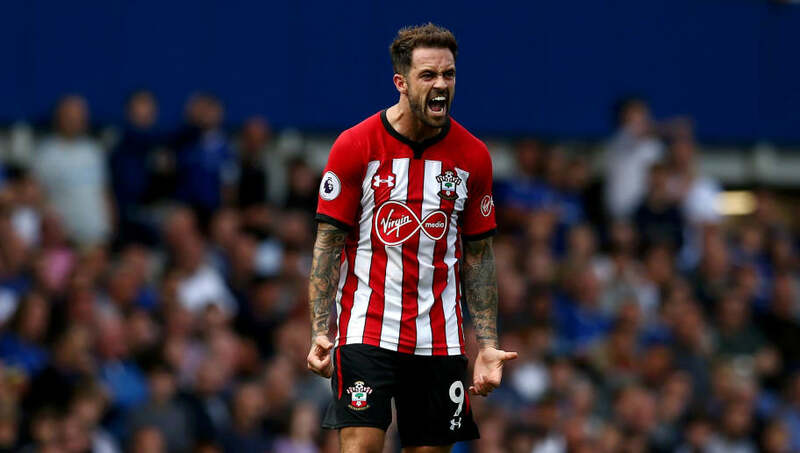 ​Gareth Southgate will keep close tabs on Danny Ings over the next few weeks, with a view to calling up the Southampton striker for his next England squad. Ings hasn't played international football since his one and only senior cap against Lithuania in 2015, largely because his first team opportunities were limited during a three-year spell at ​Liverpool. But he could be in line for a place in the squad that will face Croatia and Spain in a UEFA Nations League double-header in October, according to the Telegraph. The former Burnley striker joined Southampton on loan last month and has enjoyed a strong start to life at the St. Mary's Stadium, scoring goals against Everton and Crystal Palace in his first four games. England are sorely lacking strikers, naming just four in their squad for this week's matches against Spain and Switzerland. The problem was recently compounded by Jamie Vardy's international retirement. Ings scored four goals in 13 appearances for England Under-21s when they were managed by Southgate between 2013 and 2015, and the England boss has remained an admirer ever since. At the age of 26, Ings is young enough to fit in with Southgate's philosophy and the fact that he is getting regular football for his club side is encouraging, seeing as neither Marcus Rashford nor Danny Welbeck are starting many Premier League matches. Southgate has indicated that he is also monitoring Bournemouth's Callum Wilson, another striker with two goals to his name in the early stages of the season. However, neither Watford's Troy Deeney nor Glenn Murray of Brighton are being considered for an international call-up despite their early season form, as both are over the age 30.